This paleo chocolate zucchini bread is actually flourless which makes it super moist. It’s healthy yet decadent way to enjoy the end of summer zucchini surplus and a great back to school snack. I was perusing (read: procrastinating on) Facebook last week when I stumbled upon the proud parent “first day of school” kid picture in my feed. In my head I was like “woah, hold the heck up, <enter record rewind music> it’s the first week in August!” Having grown up in the Northeast, August will never be a school month in my mind. School has not (and never should) start before Labor Day if I were making the rules but apparently that’s how you southerners roll down there. So, the ladies and I are back with another healthy round up for you and this month it’s all about healthy back to school meal ideas. I was in charge of snacks. Let’s be honest, snacks are one of the best parts of being a kid! I mean, in elementary school, there’s a built in time of the day for this momentous event. Why doesn’t that carry through to adulthood? It totally should. I can still remember snack time back then. The time I ate the red wax on the outside of a babybel cheese round in Kindergarten without realizing it wasn’t part of the cheese (thanks for that heads up, mom) happens to be one of the more distinctive memories, but there were plenty of others too. Unfortunately back then, they usually centered around some piece of fruit, vegetable or homemade something or another because my mom was that mom. While I appreciate it now, at the time, it totally sucked being the kid without the fun packaged sugar rush or the cheese snack things with that scary yellow dip stuff and crackers. 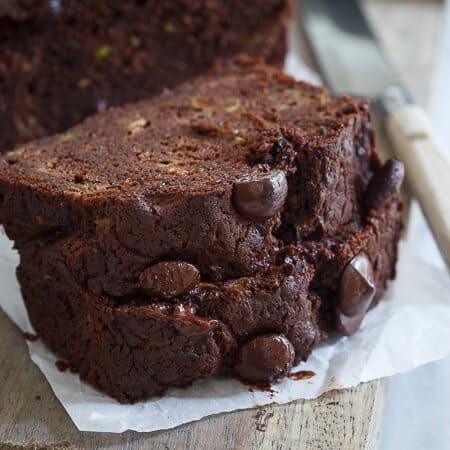 Fast forward almost 30 years and I’m pretty sure that if my mom were sending me to elementary school today, this paleo chocolate zucchini bread would have somehow made it’s way into my lunchbox. She was the homemade, sometimes gluten free and even paleo mom without knowing it before any of them were even “a thing”. With so many food sensitives, allergies and restrictions on what kids can and can’t bring to school these days, this healthy back to school meal round up is completely gluten free thanks to our friends at Udi’s sponsoring this post and some are even paleo. We’ve got ideas for every meal of the day including snacks so let’s get to them all! The perfect breakfast on-the-go. 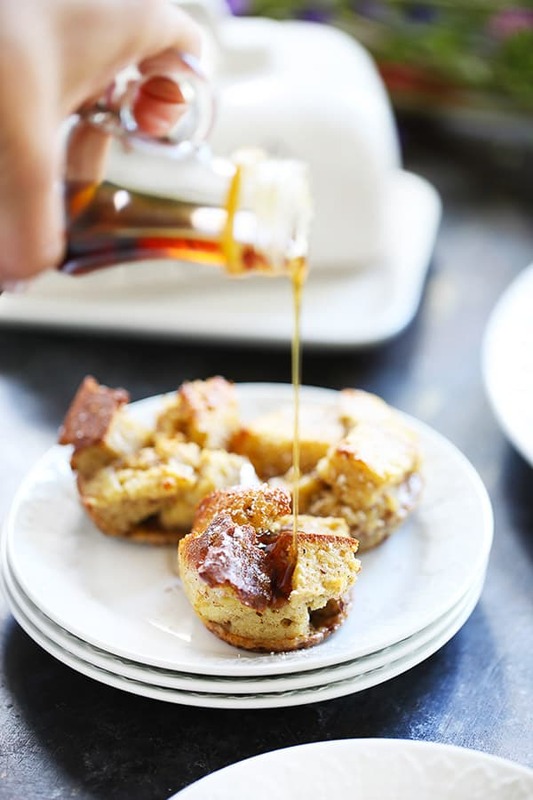 Easy to make french toast cups that are gluten, grain, and dairy-free! Make ahead at the beginning of the week and have a delicious breakfast all week long. All you need is a pour of syrup and you are out the door! 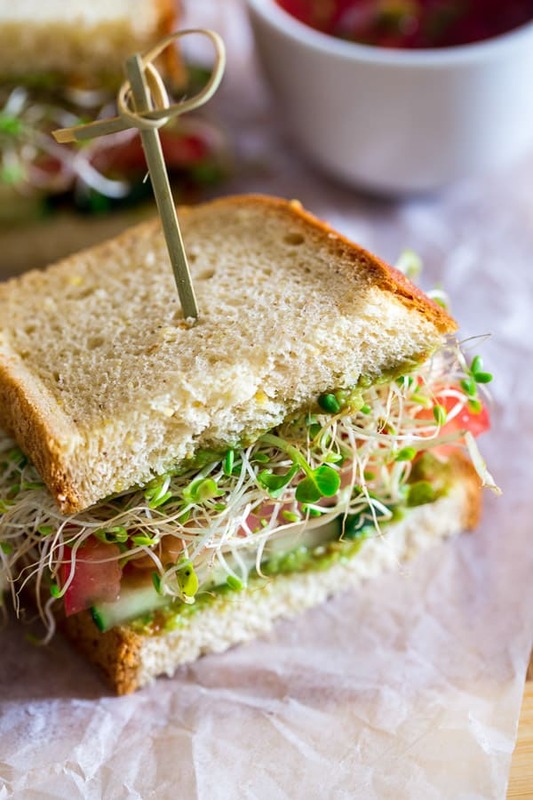 These gluten free sandwiches are layered with a creamy Mexican avocado spread, spicy sprouts, fresh tomatoes and crunchy cucumber slices. They’re an easy, healthy meatless lunch option for work or school lunch boxes! 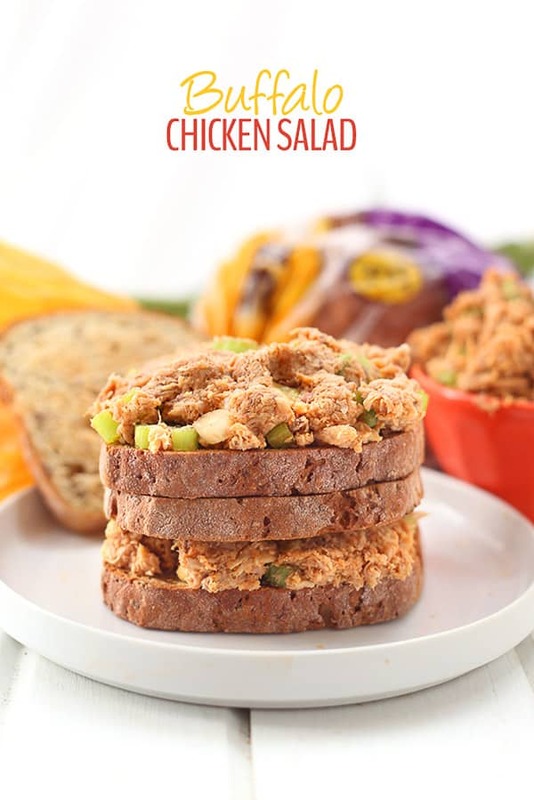 A simple, easy and healthy lunch recipe made with organic shredded chicken, celery and a zesty paleo buffalo sauce. Perfect in a sandwich or on a celery log, this salad is loved by kids and adults alike! Send your loved ones to school or work with a healthy treat that’s sure to make them smile. 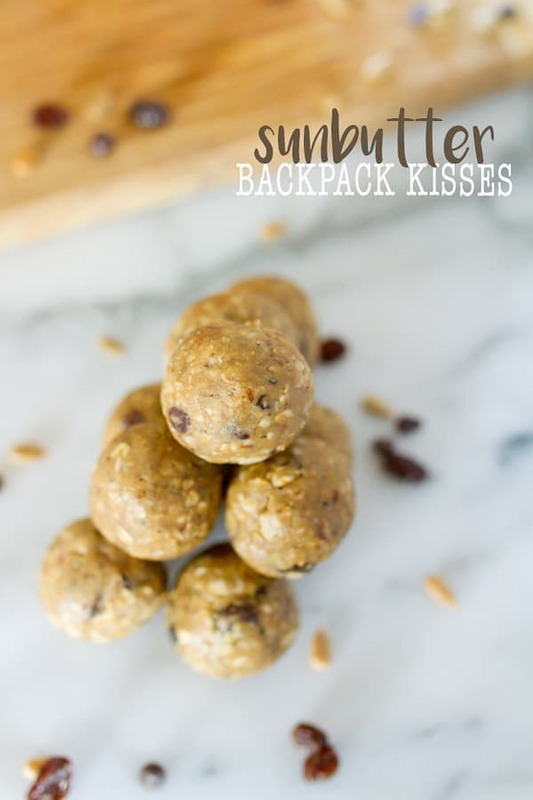 Made with homemade sunbutter, flaxseed, hemp seeds, raisins, chocolate chips and a splash of maple syrup these bites are packed with flavor and kid-approved. Got 20 minutes? 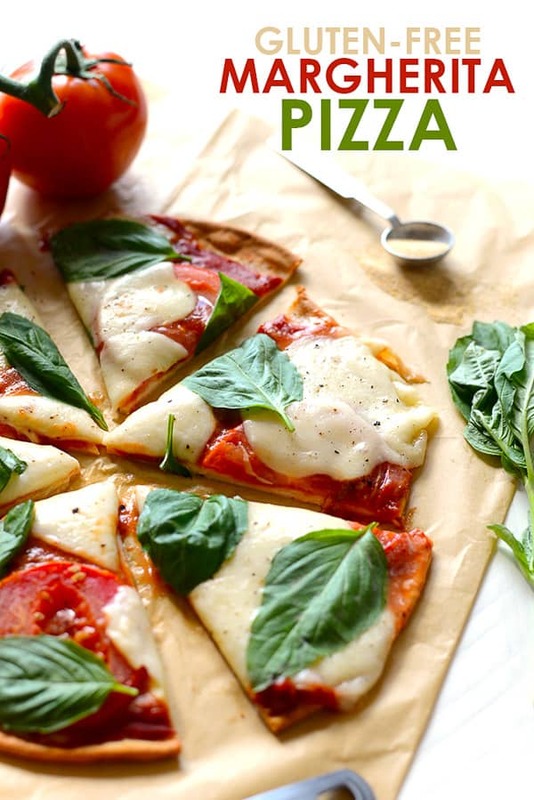 Make this delicious and flavorful gluten free margherita pizza with just a few ingredients for a yummy weeknight dinner! And of course my paleo chocolate zucchini bread. If a slice of this made it’s way into my lunchbox, I would’ve been a happy kid. This bread is actually completely flourless (which still blows my mind how something without any sort of flour can bake into something bread-like at all). It’s super moist, chocolaty and decadent yet hiding an entire zucchini inside it! Wrap up a slice for school or have it ready for them when they get off the bus. Either way, I’m guessing this won’t be a snack they complain about. Looking for more great gluten free ideas? Visit the Udi’s community page where you’ll find not only great recipes but a great resource bank of all types of gluten free info! 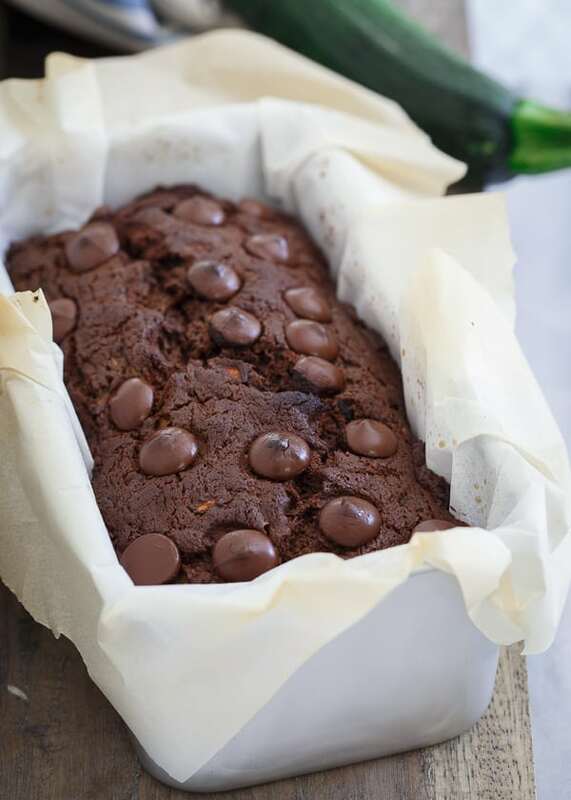 This paleo chocolate zucchini bread is actually flourless which makes it super moist. It's healthy yet decadent way to enjoy the end of summer zucchini surplus and a great back to school snack. Preheat oven to 400 degrees and line a 8x4 loaf pan (this is a slightly smaller size than a traditional bread pan. I use this one.) with parchment paper. Combine the cashew butter, cocoa powder, eggs, vanilla bean paste, maple syrup and melted chocolate in a medium bowl and whisk until smooth. Add the apple cider vinegar, baking soda and salt and mix until thoroughly incorporated. Fold the zucchini into the batter then transfer to the lined loaf pan. Sprinkle the chocolate chips on top if using and place in the oven to bake for 40-45 minutes. Test doneness by inserting a toothpick into the center of the bread. If it comes out clean the bread is done. If not, continue baking in 5 minute increments. Remove bread from the oven and let cool in the pan for 10 minutes before removing using the sides of the parchment paper to lift the bread out of the pan and onto a cooling rack. *It's very important to squeeze the excess water from the shredded zucchini. To do so just place zucchini in a towel or paper towels and squeeze until as much excess liquid comes out as possible. This is a sponsored conversation written by me on behalf of Back to School Blogger Outreach. The opinions and text are all mine. Chocolate, zucchini AND paleo? This bread is blowing my taste buds off my head! I want a few slices of this goodness for breakfast! Pinned! I totally agree….NO SCHOOL UNTIL AFTER LABOR DAY! Oh my gosh! TABLE TALK PIES…YES! I had forgotten all about those amazing little things. This is a fantastic recipe!! I’m trying to cut down on my carbs and still eat cake and bread so this is happening ASAP! We started school last week…and I must admit I’m loving the quiet all day long! But I do think a built in snack time for adults sounds like something I should implement in my schedule. 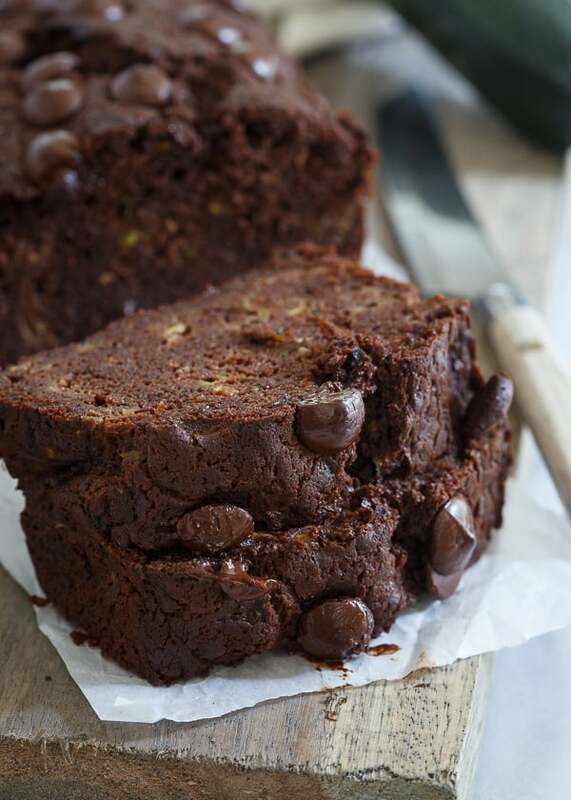 And of course healthy chocolate bread would be the perfect choice for this week! Love this zucchini bread!!! ohhh. I’ve been on a zucchini kick lately, so this recipe is popping up at the perfect time. can’t wait to try it. I don’t have any vanilla bean paste. Would vanilla extract work instead? Yes, you can definitely use vanilla extract instead. It’s a 1 to 1 substitution too. I think it’s a sin to start school in August. It’s wrong on so many levels. The fact that it’s still blazing hot outside is my biggest concern. Kids should be swimming. If they have to go to school, they might as well have a delicious snack to take with them. Love this bread! Wow – this loaf is stunning – and it’s paleo?!?! Dang! Phenomenal! I love that this is flourless and made with cashew butter. It looks amazing! 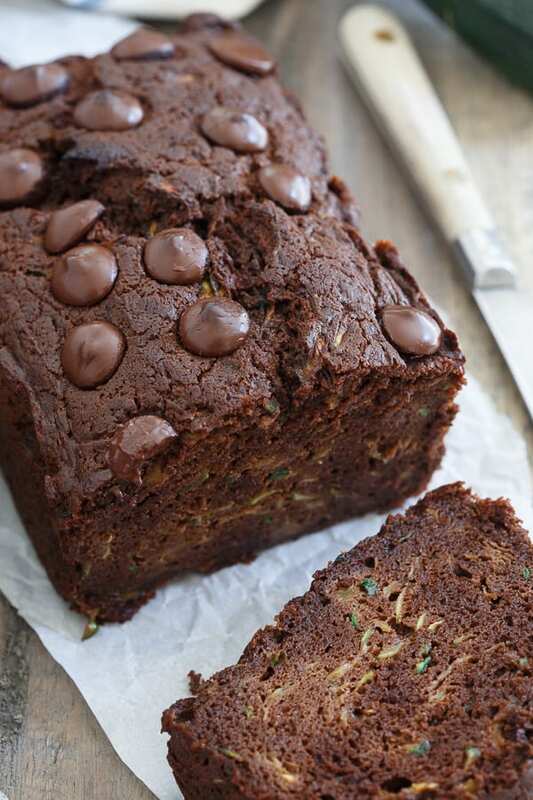 I love this zucchini bread and the fact that it has that delicious chocolate in it! And the back to school menu ideas are great too– so many good ones to choose from! YES> I love this! I just made a flourless zucchini bread last week with raspberries. The cashew butter idea is genius too because I’m sure you end up getting a nice mild flavor from the nut butter and a delicious chocolate bread. Awesome blog thanks for all the cool ideas i absolutely love this page! Growing up in Ohio we always started school the last week in August. It sucked to go back to school the week of the fair (seriously who does that?!) but we also got out of school before Memorial Day so it all evens out :) This bread looks slammin’ and I would totally eat it for all the meals. These look delicious! Can’t wait to try them out! I’m on a ketogenic diet and can’t take marpLe syrup so what can I substitute it with cos I really want to try this recipe cos it looks very delicious also can I use cucumber Instead?